Today’s guest blogger is artist, author, and collector Jim Linderman, who treats his blog like an art form. You can find him on Show & Tell, too. 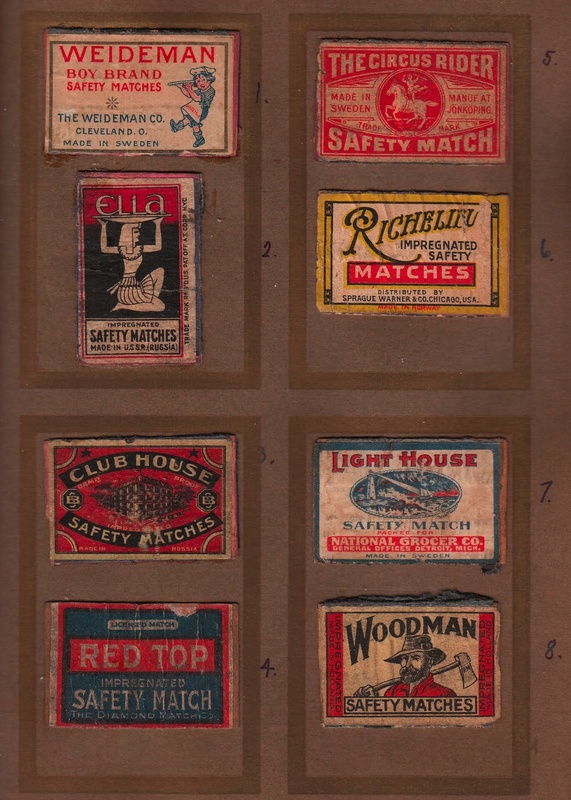 Matchbooks are certainly one of the most-collected paper ephemera items. Even as smoking declines, the book of matches remains as common as a coin and familiar as a photo. Far less common, however, are the matchboxes—the wooden, sliding cases which held stick matches. Approaching extinction today (except in upscale hotels and bars) wooden matchboxes were created in quantities rivaling postage stamps, and there is an active group of collectors today seeking scarce examples. 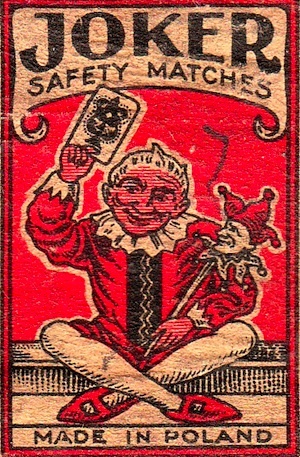 “Phillumenists” collect matchbooks, and “phillumeny” is the term for the hobby. I suppose every phillumenist started out playing with matches. Exciting, magical, taboo, and punishable sticks of fire. Father would leave a pack on the couch armrest, and there would soon be smoke in the backyard. Every boy goes through it, but it isn’t until Cub Scout campfires he is allowed to carry them with permission. I do not know if any matchbox collectors have been proven to be responsible for starting wildfires. Who knows what influences a collector? Maybe every time a parent yells, “That’s sharp!” a knife collector is born. It makes sense the Chinese invented matches, as they have generally been credited with many things pyrotechnic. They called them “light-bringing slaves” or “fire-inch sticks” which were basically sulfer gobs on wood. 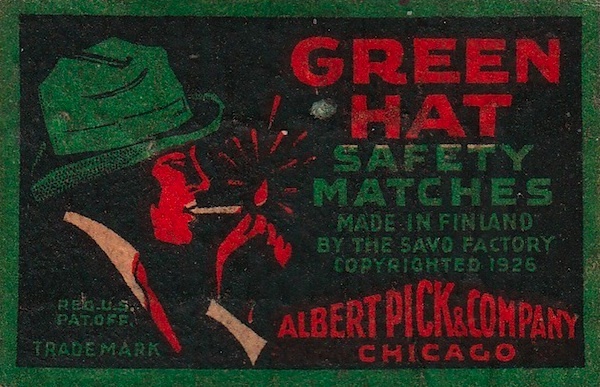 Today, they are most often known as “safety” matches. “Impregnated” is the term used for a match stick which has been treated with chemicals to prevent afterglow, you will see the term proudly displayed on many boxes. Of course, it is the graphics, the scarcity, and the condition which drives collectors today. If I were a collector, I would likely have better examples to show here, but all mine came at once … in a wonderful, primitive scrapbook of one Lowell E. Root. Lowell collected around 100 examples and glued them into his book in 1926, he took the time to date it. One page is shown … Lowell carefully numbered each example, a splendid group, which he probably begged from his traveling relatives and neighborhood friends. Every young boy should have a collection. Lowell seems to have chosen a striking one! i’m getting ready to display an old collection of matchbooks we’ve had for 50 yrs. should i cut out the matches? will that hurt the value? Thanks for any information you can give me. I also have some of the above matchboxlabels in my collection. I´m from Denmark and have been collecting matchboxlabels, -skillet & -covers since the 1960s. My collection contents now more than 134,000 different items from 171 countries around the world. In vintage movies you very often see people striking their matches on anything and everything after which they always flame up…even when they strike it on their britches leg or by their thumbnail. My question is were those antique matches from yesteryear made different from todays? 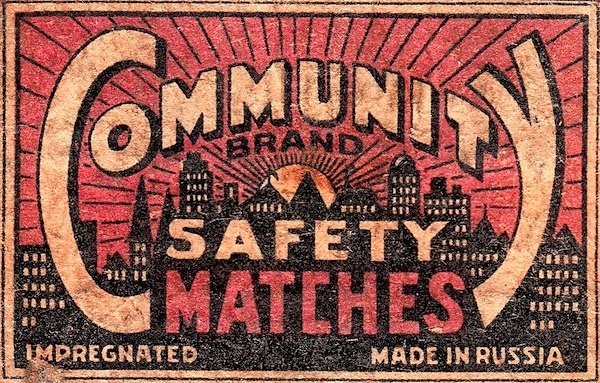 The matches we now have will not strike on anything but the place on the box or pack made just for that purpose. Matches apparantly lit very, very easly then. Why? “ ” It's not something you'd want to talk about in front of the children.